James is your typical modern child who loves technology and everything that relates to his tablet. So when the people at Mardles got in touch and asked if James would like to try their Magic Masks we were thrilled. The Mardles website says "Combining superbly designed masks with a novel “fits all” clasp, our masks do so much more than just look fantastic. Use the free app and watch them spring to life in stunning 3D. Tap your screen for more fun and you can even see yourself in selfie mode! 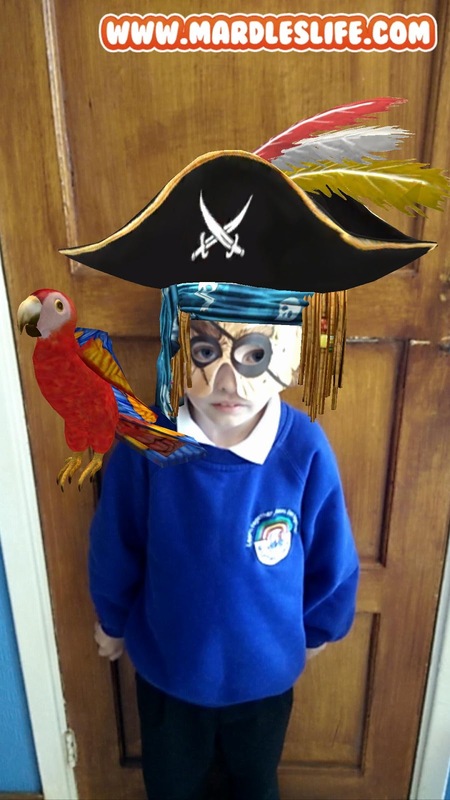 With characters ranging from Pirates and Princesses to Monsters and Lions, there’s a Mardles Magic Mask for everyone! Ideal for your perfect party or a Halloween with a difference." 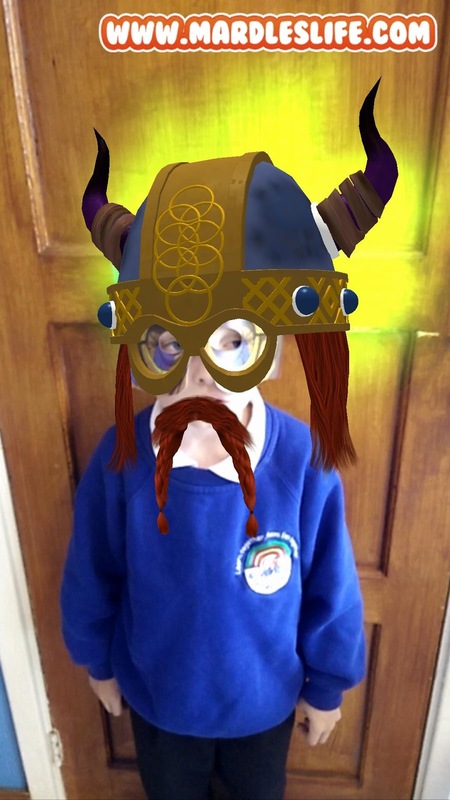 James was very kindly sent the pirate, the dragon and the Viking masks to tryout. Mummy downloaded the Mardles App on to her phone. We got the masks out one day after school and they are fantastic! 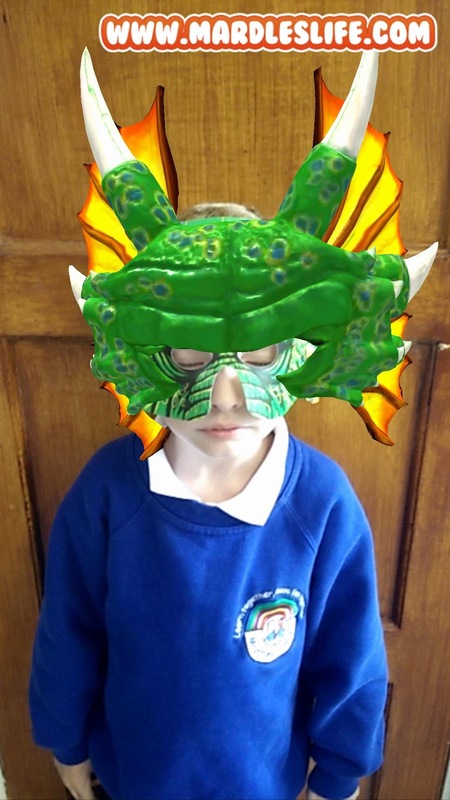 James absolutely loved seeing them come to life on my phone screen so much so that mummy downloaded the app onto James tablet so he could play with the masks as much as he wanted without the need for mummy's phone. The videos were so funny although Freddie did get a bit puzzled as to why his big brother was wearing a mask! 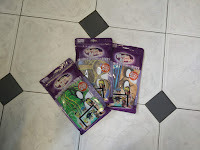 Priced at £3.99 per mask these would make the ideal party favor for kids at birthdays, weddings, christenings etc as it will keep them entertained for hours! In fact I'm already looking into purchasing some for James up coming birthday party! I think the five friends James has invited to his birthday party would absolutely love these as much as James! 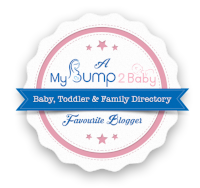 We had so much fun trying these out and I cannot wait to explore the Mardles range further! 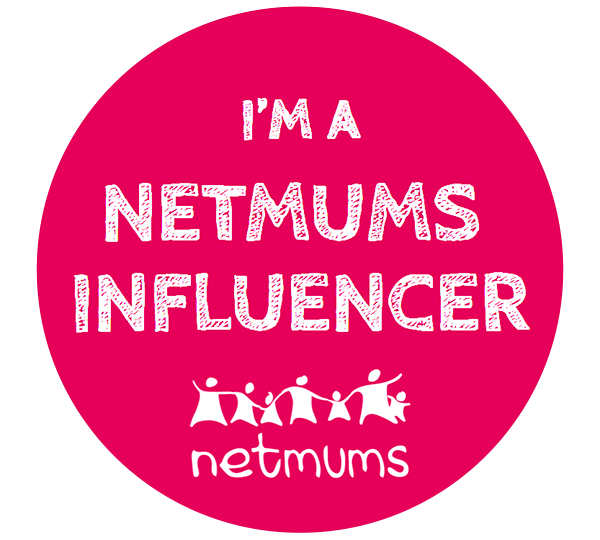 I think some of the other brilliant products will make ideal birthday presents for our soon to be six year old!